DramaQueerz: Congratulations Kieron and Carl! Kieron Richardson and Carl Hyland. So, this Saturday was the big day for Kieron and Carl! 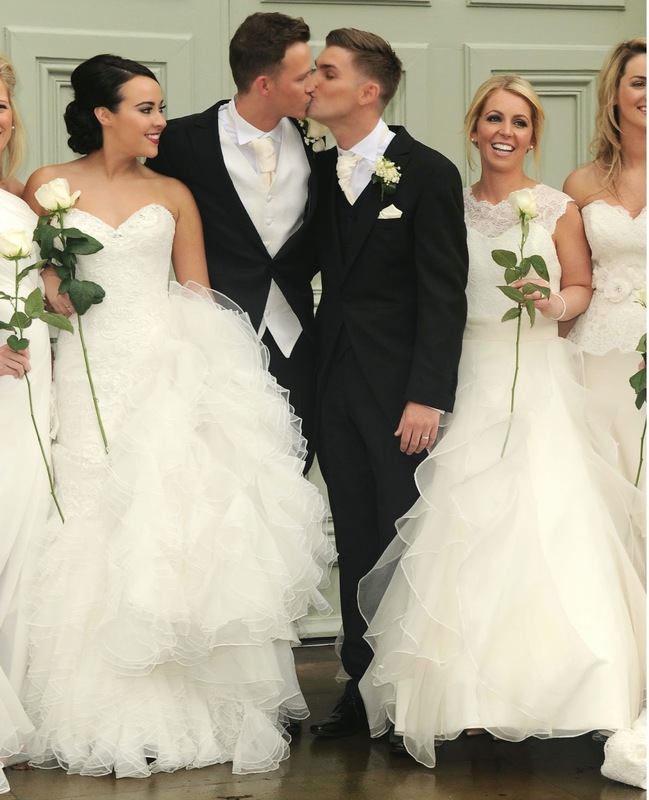 Kieron Richardson who plays Ste in Hollyoaks got married to his long term partner Carl Hyland.. And what a wedding! I think about all of the Hollyoaks cast was there and they had no less than 11 bridesmaids in wedding gowns! Kieron, Carl and their eleven bridesmaids. Kieron said in an interview that he really loves brides in their wedding dresses walking down the isle on weddings, but because there was not going to be a bride in his wedding he wanted his bridesmaids to wear wedding dresses. So here they are, eleven bridesmaids in eleven gorgeous dresses! Among them we see the Hollyoaks actors Bronagh Waugh (Cheryl Brady), Jorgie Porter (Theresa McQueen), Stephanie Davis (Sinead O'Conor), Jazmine Franks (Esther Bloom), Jennifer Metcalfe (Mercedes McQueen) and Gemma Merna (Carmel McQueen). 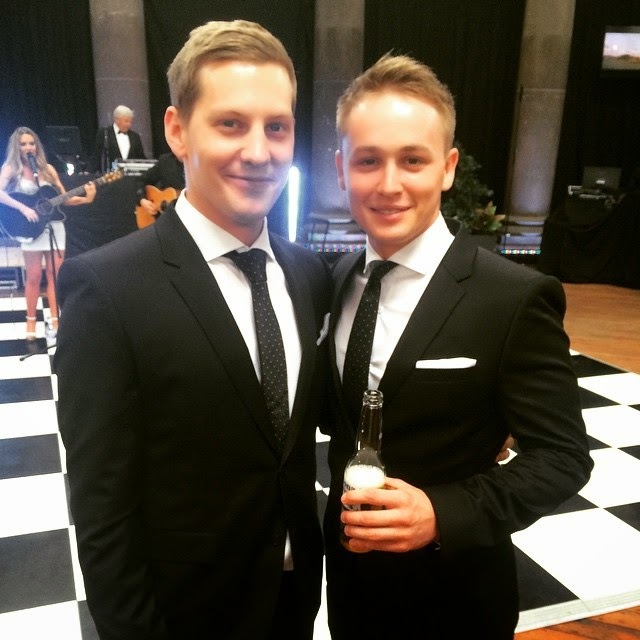 James Sutton and Alfie Browne-Sykes. If you wonder about Kierons onscreen husband John Paul McQueen, well of course James Sutton was invited aswell. Here looking stunning as always, with Alfie Browne-Sykes who plays Jason Roscoe. I wish I could have been there, but I don't really know Kieron or Carl, so it would have been a bit awkward nd stalkerish. It seems to have been the party of the century though!